Steve from New York sent us this great picture of his new shutters and planter box. 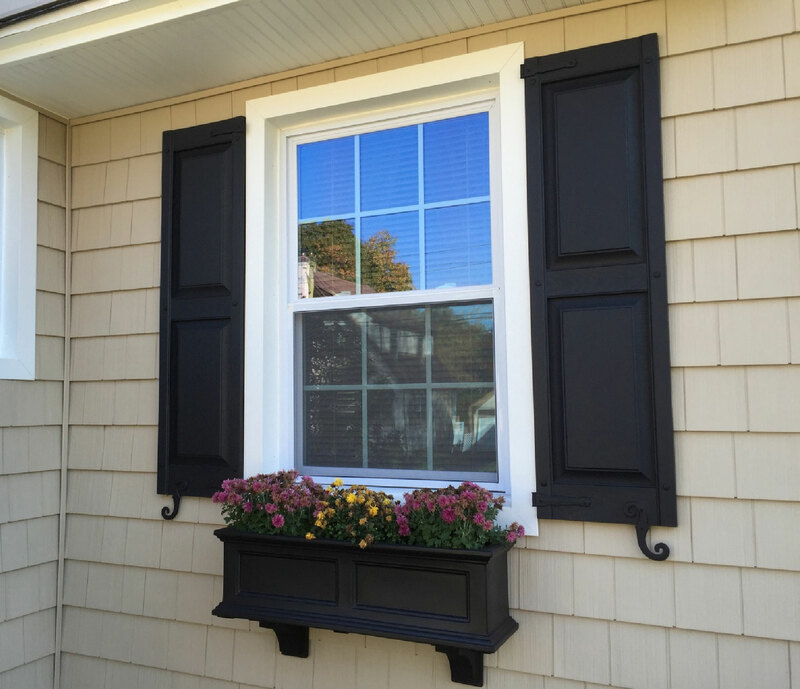 His project included double panel shutters, a window planter box, and some decorative vinyl hinges. At Architectural Depot, we offer a wide spectrum of products for all your architectural needs! Click here to start shopping for parts to your own project!